John Morris Russell returns to lead the National Orchestral Institute Philharmonic in the opening concert of the 2018 festival. 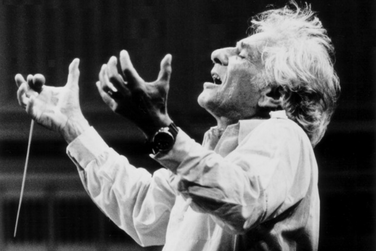 This spectacular evening pays homage to the great American composer and conductor Leonard Bernstein as part of Leonard Bernstein at 100, a two-year global celebration of the life and career of the 20th century cultural giant with more than 2,000 events on six continents. Hear selections from West Side Story, Candide, On the Town and more! Join us for SPARK! Lounge pre-concert activity: Pops Extravaganza on Saturday, June 2, 2018 at 7 PM.